This book attracted me because it takes place during the Revolutionary War in Williamsburg, Virginia. 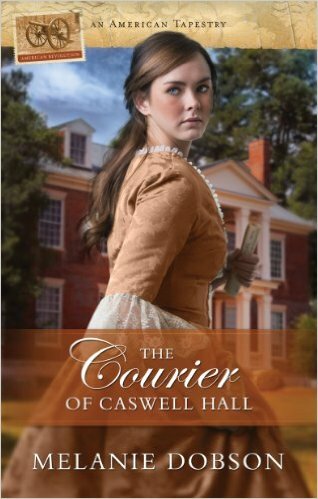 In addition to a sometimes heart-breaking romance, I enjoyed history coming alive through the characters' eyes. Other than Betsey Ross sewing our first flag, I never gave much thought to the role of women in the war effort. Like the Civil War, families, neighbors and friends were divided between the Patriots and the Loyalists. Each feared reprisals from the other side. The one thing I'd suggest to readers is skip the prologue until after you've finished the story. I felt it gave away too much and diluted the tension. It nearly ruined the book for me. I'm glad I stuck with it though as the second half of the story picked up the pace. Well written, great characters, awesome historical details, and a great plot make this a satisfying story. If not for the prologue, I'd give it five stars. As it stands, I'm giving it four stars. Disclaimer: Neither the author nor the publisher requested a favorable review. I didn't receive any payment, and all opinions are mine and mine alone. 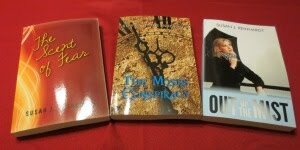 Writers: While I've used a prologue in one of my books (The Moses Conspiracy), I avoided getting too specific. Do you use prologues/epilogues? Please share. Readers: What is your opinion of prologues/epilogues? Yay or nay? So far I haven't used any prologues for my books. 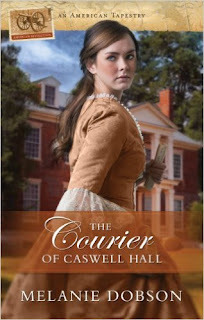 The Courier of Caswell Hall sounds interesting! I can see how a prologue could give too much away! I actually haven't even considered using a prologue, just an epilogue. Both though do add value to a story. I've always been interested in that time of history. Thanks for sharing! My 14 year old grandson is very interested int his period of history and reads everything he can about it. Sounds like an interesting book. Have a great week.